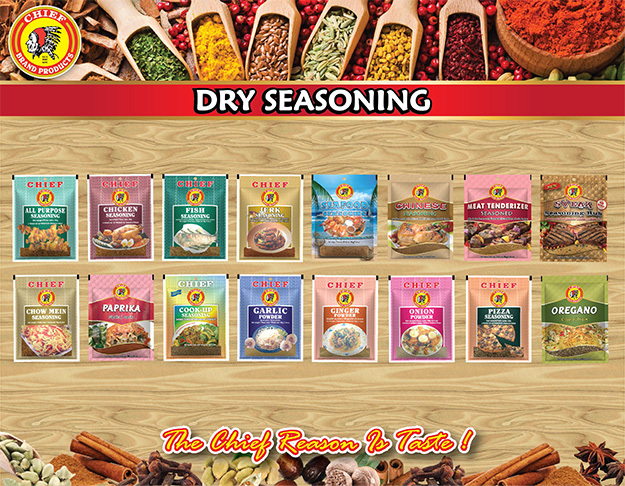 Here for every meal, for each unique flavor… however you choose to prepare your dish, you can count on Chief Brand Products Dry Seasonings to add that special touch. 1. To debone wings, place them on a cutting board and with a sharp knife, make an insertion into the flap of the wing, using your fingers gently pull out the two main thin flap bones. 2. When done, put all wings into a bowl, add the Chief Brand, salt, and black pepper and massage the seasonings into it properly. Lastly add the Chief Brand Tandoori Massala Mix and rub it in in the wings both on the inside and outside of the flesh. Add yogurt and gently mix in to coat. Let Marinate. 1. In a hot pan, add the Vegetable Oil, garlic, onions, pimento and chadon beni.Saute on medium heat for one minute. Add Chef Brand Amchar Massala and Geera and cook these spices in the pan stirring to ensure it sis parched properly. Cook for about two minutes. 2. Then add the water and stir to ensure all spice and seasonings do not stick to the bottom of the pan. Let that reduce and simmer until it has rduced by half. 3. Then add diced dasheen to the pot and stir to combine. Cook for about five minutes until mixture pulls away from the sides of the pot and masala has been absorbed into dasheen. 4. 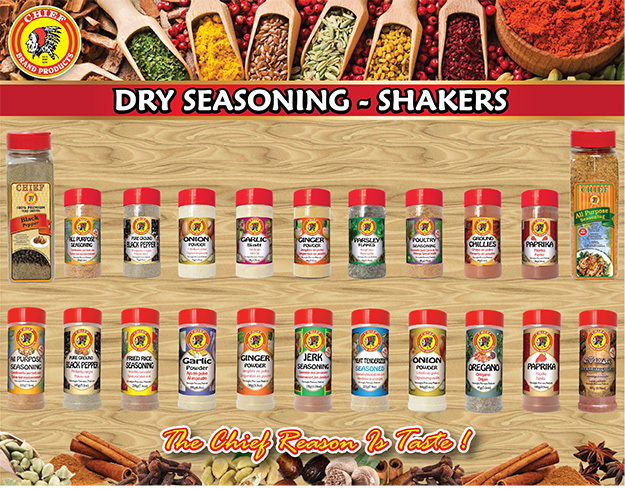 Remove from heat and season with Chief Brand Black Pepper and Salt to your liking. Let cool. Take dasheen mixture and place one tsp of filling into the deboned area of the wings. 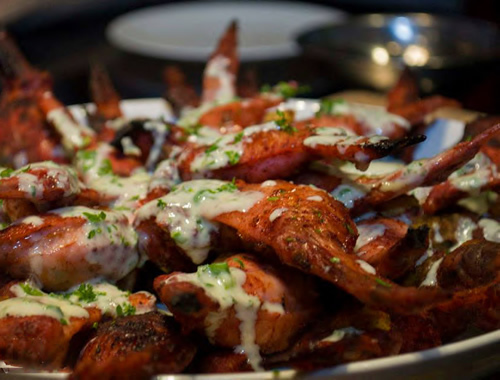 Ensure mixture is secured and place wings on a Foiled baking Tray and place in the oven at 375 Degrees Fahrenheit to bake for about 30 Minute or until cooked .Serve by placing wings on a platter and drizzling with some Natural Yogurt atop the chicken.